With recycled cardboard tag and filled with fibres made from recycled bottles, Toby the teddy is a fun friend for your dog to wrestle or cuddle, best of all he’s eco friendly. Double cross stitched for extra durability, he has a squeaker inside him which will be irresistible for your dog. 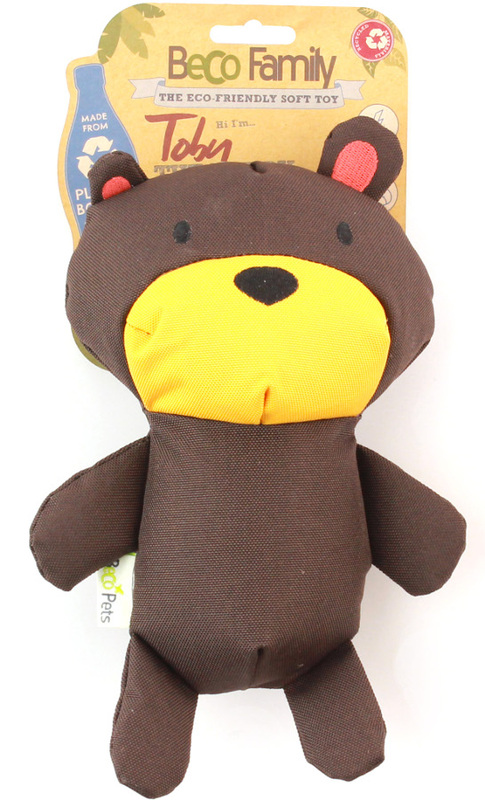 The Beco Soft Toy - Teddy product ethics are indicated below. To learn more about these product ethics and to see related products, follow the links below. 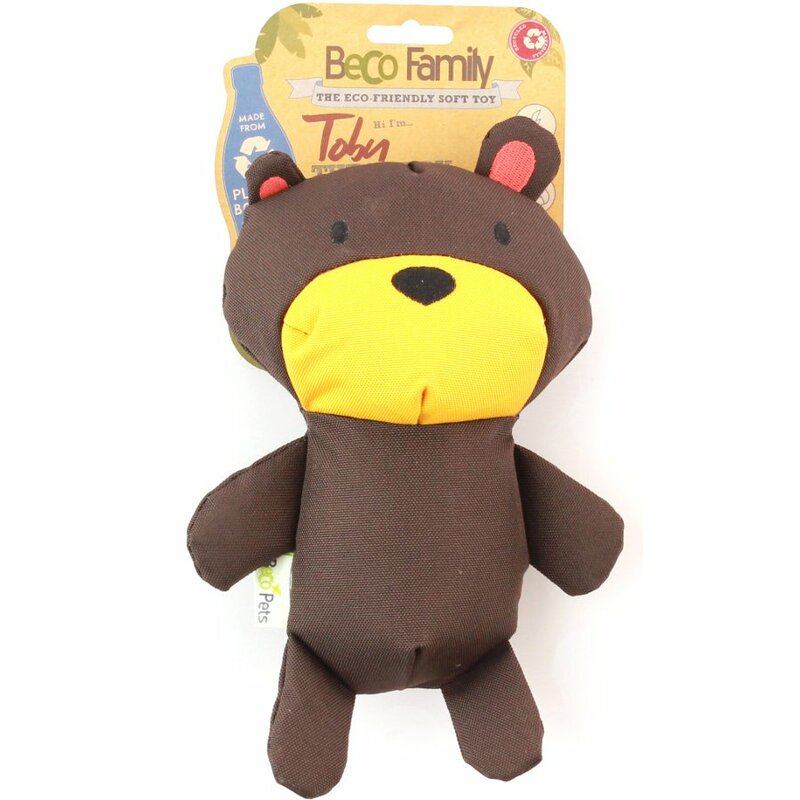 There are currently no questions to display about Beco Soft Toy - Teddy. Beco Pets are committed to designing and creating ethical products for your beloved pets, in the most sustainable ways they can. Their range includes food, bowls, toys and essentials that you and your pets will love. Using degradable materials and ethical manufacturing processes, they create the very best in eco-friendly products for your pets. Through the Beco Foundation, the company also donates 5% of profits to local community, animal and environmental causes, and the Beco Team take part in fundraisers to raise extra money for the foundation.